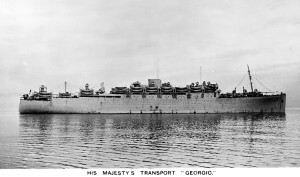 HMT Georgic prior to the German air attack. 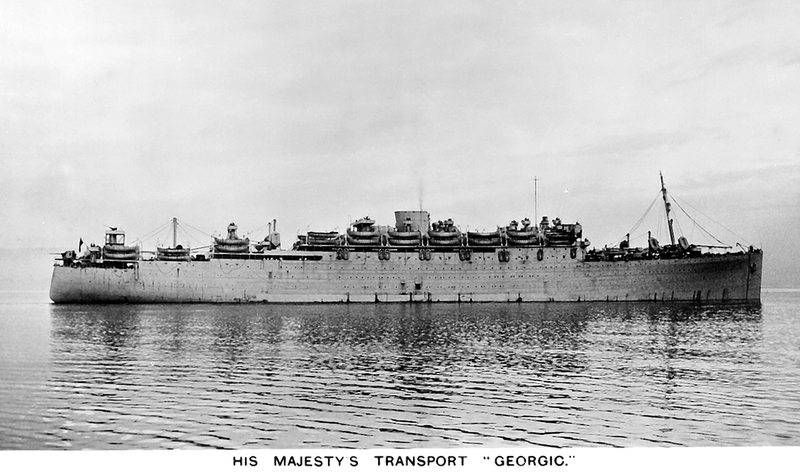 Most ships in HMT Georgic’s condition on 19 March 1943 would have been towed to the breakers. Yet Georgic defied the odds and was painstakingly returned to life. One of the last remaining White Star liners, Georgic (1932) limped home to Belfast’s Harland & Wolff for massive repairs inflicted while serving as a troopship. Yet the shipyard was so busy with other war work that the battered and bruised Georgic had to be anchored in Bangor Bay before her overhaul could begin. 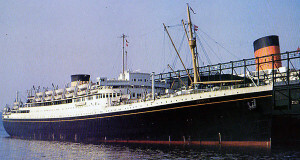 Georgic in post-war civilian livery. Two years earlier, in the Gulf of Suez, Georgic was bombed by two German aircraft. The vessel was quickly engulfed in flames and the order was given to abandon ship. Georgic eventually sank in shallow water and was left to burn out. 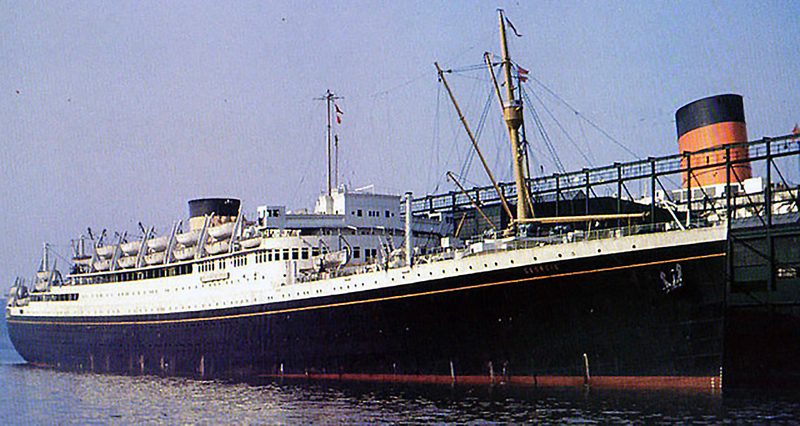 Fortunately, Georgic survived the war, was revived and restored, and sailed for Cunard-White Star Line until 1954.